Love the paper in the card kit, such sweet patterns! Congrats, Leni! Please send me an email with your mailing info and I'll pass it on to the wonder team at Simon Says Stamp! Thanks everyone for stopping by! See you soon! Today I'm sharing a final card using the Simon Says Stamp January Card Kit. Don't forget that Heidi of Simon Says Stamp has generously given me a second January Card Kit to pass on to one of my blog readers! All you have to do is comment on any or all of my Card Kit posts this week (Monday, Thursday, Friday, and today) and I'll pick and a announce a winner Monday December 31st. 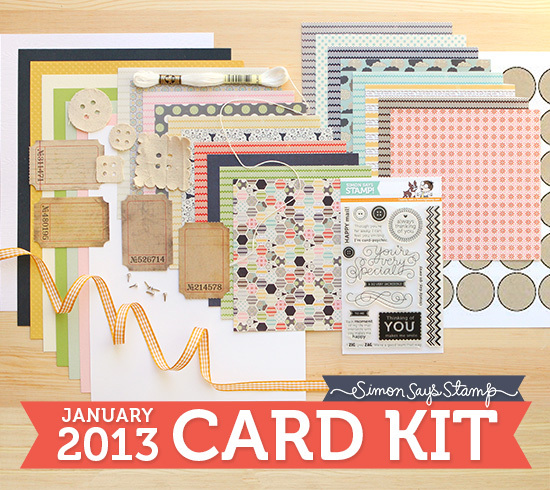 Simon Says Stamp January Card Kit: Happy Mail! I'm back with yet another card featuring the Simon Says Stamp January Card Kit. 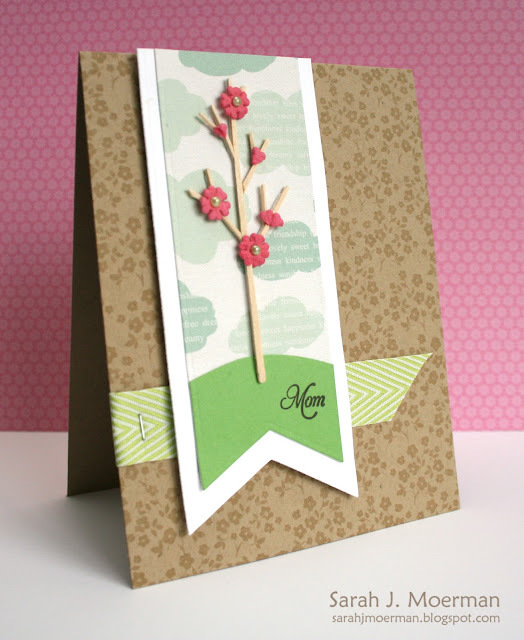 As you can see I couldn't resist using more of the gorgeous white woodgrain cardstock that comes in the kit. :) I also used 3 of the Maya Road canvas buttons that were included, coloring them with Distress Stains to match the patterned paper. 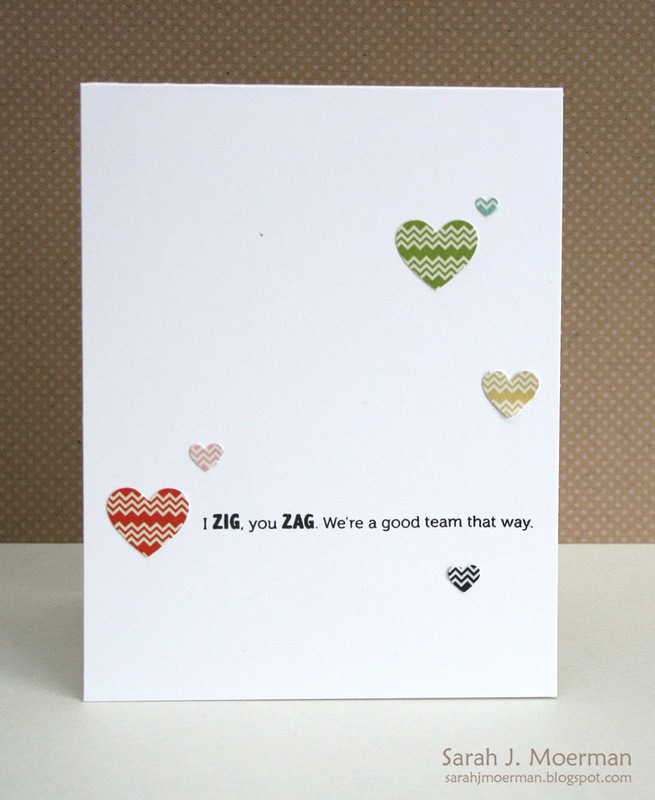 I then sewed them onto the card with the DMC floss that was also included in the kit. Just a reminder that sweet Heidi of Simon Says Stamp has given me a second January Card Kit to pass on to one of my blog readers! All you have to do is comment on any or all of my Card Kit posts this week (Monday, Thursday, today, and Saturday) and I'll pick and a announce a winner Monday December 31st. Thanks so much for stopping by! 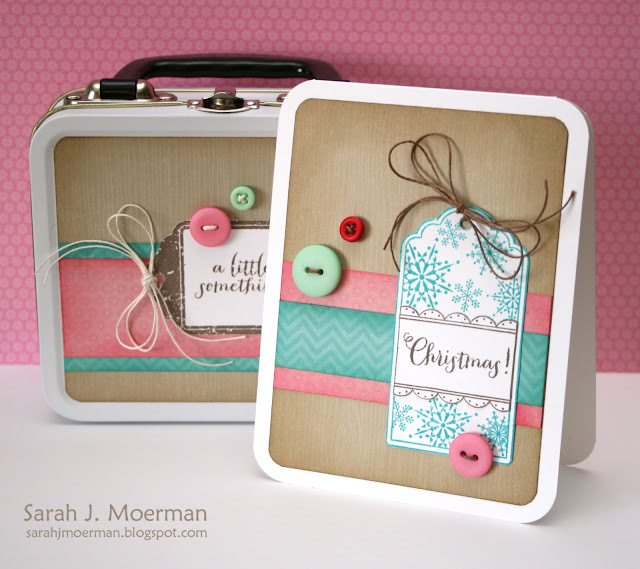 I hope you'll pop by for my final January Card Kit card tomorrow! Today I'm sharing another card I made with the Simon Says Stamp January Card Kit. Don't you just love that? I have to ask Heidi where I can get more. I just LOVE it! For this card I decided to add some Pumice Stone Distress Ink to the woodgrain with an ink blending tool so just the raised areas would get the ink. 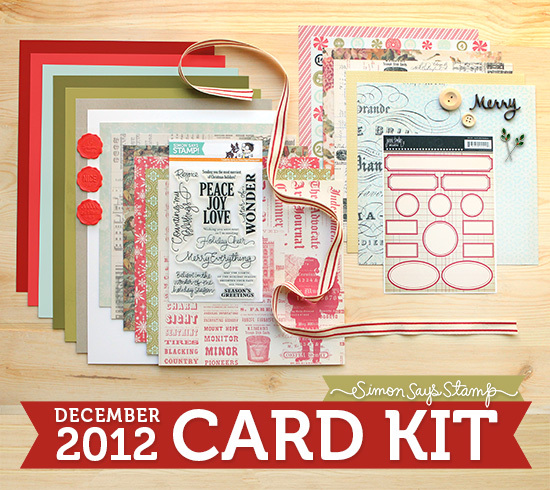 Remember that sweet Heidi of Simon Says Stamp has given me a second January Card Kit to pass on to one of my blog readers! All you have to do is comment on any or all of my Card Kit posts this week (Monday, today, Friday, and Saturday) and I'll pick and a announce a winner Monday December 31st. 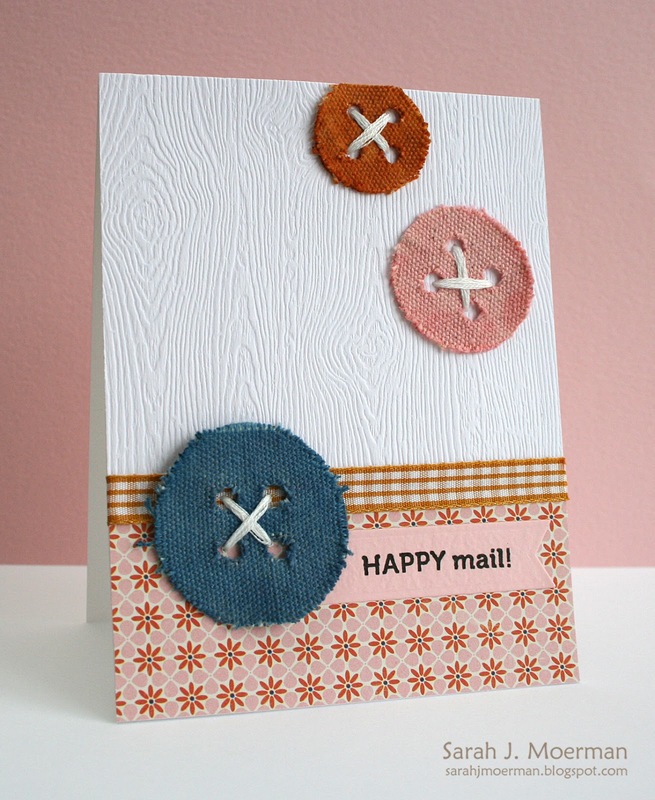 I'm also back with another Simon Says Stamp Challenge!!! I used Hemptique twine for my bows and to thread my buttons. 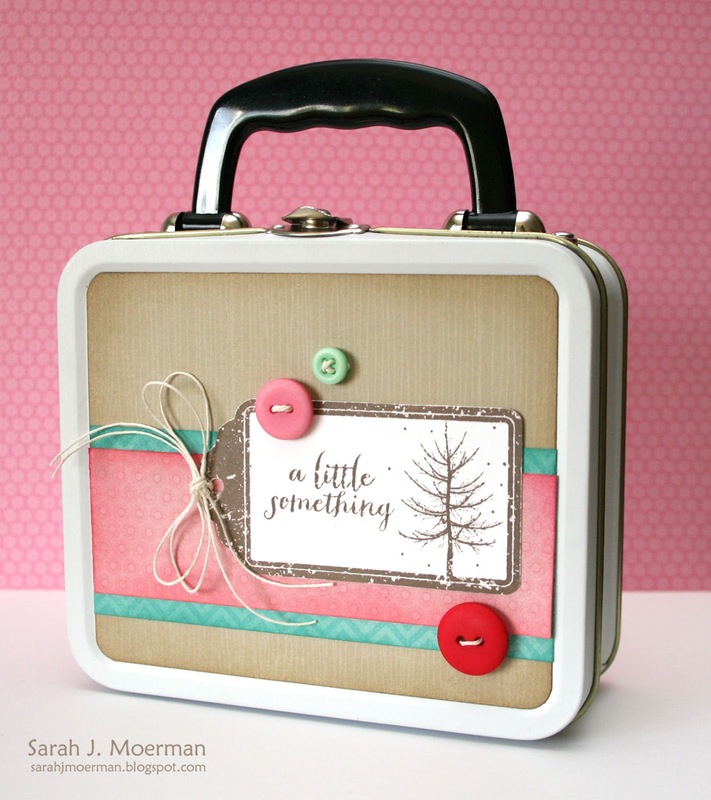 I wish I could tell you were you could find the little lunch box. It was something I've had for a few years just waiting to be decorated. I filled it with some crafty things that I hope Mandy will like. I hope you'll join us in this week's challenge! 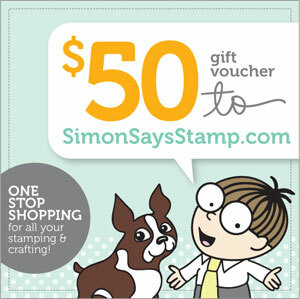 Up for grabs is a $50 gift voucher for the Simon Says Stamp store thanks to sweet Heidi! For all the details and to see what the other designers have come up with please visit HERE. Merry Christmas! I hope you all have a wonderful day celebrating the birth of Christ. His life, death, and resurrection is truly the greatest gift of all time. I came across this little video that I thought I'd share today. I hope you get a chance to take time out of this busy season to pause and reflect on the true meaning of Christmas! Thanks for stopping by! I hope you'll come back tomorrow for a new Simon Says Stamp Challenge and then again Thursday, Friday, and Saturday for more Simon Says Stamp January Card Kit cards. In case you haven't seen January's kit, here it is. The kits can bought month by month or by subscription. I've linked to both below. As always the very generous Heidi of Simon Says Stamp has given me a second January Card Kit to pass on to one of my blog readers! 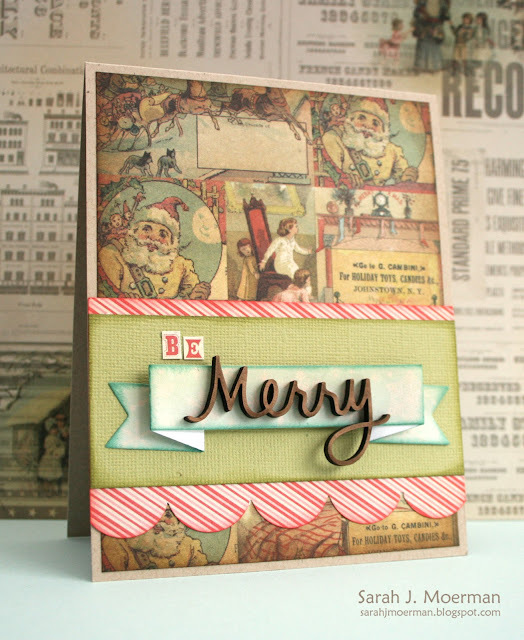 All you have to do is comment on any or all of my Card Kit posts this week (today, Thursday, Friday, and Saturday) and I'll pick and a announce a winner Monday December 31st. Simon Says Stamp Challenge: Merry Christmas! I'm back to share a project for this week's Simon Says Stamp Challenge!!! 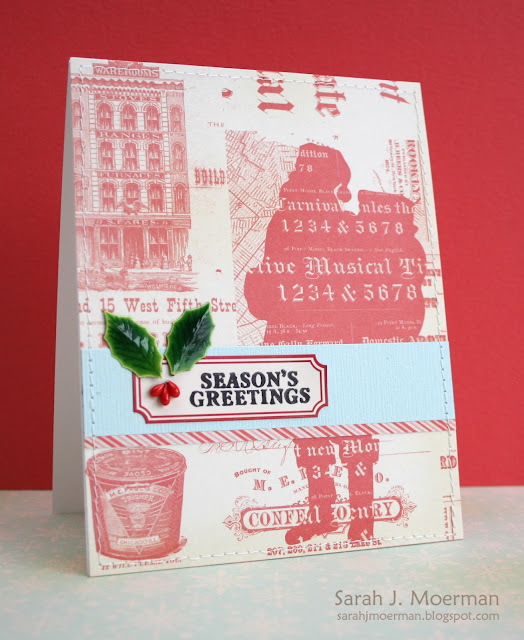 This week's challenge is to make a Christmas card and the design team is featuring Simon Says Stamp Exclusives! 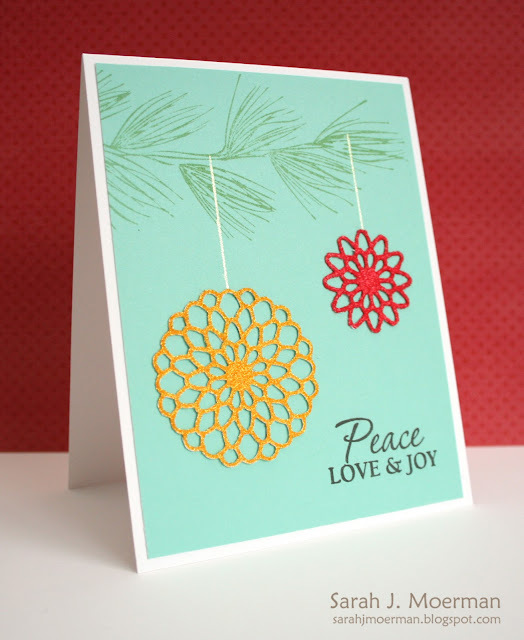 I used the Simon Says Stamp Delicate Dahlia die along with Be Creative tape sheets and some glitter to create my own Christmas ornaments. While I'm here I've gotta ask: have you seen the new Hero Arts 2013 release? So many gorgeous stamps and some great new inks too! Can you tell I have a weakness for background stamps? ;) I'd love to know which new stamps are your favourites. For this week's challenge we want to know: What's Your Favourite? Use your favorite product on this week's creation. And speaking of Simon Says Stamps Exclusives, have you seen that Simon Says Stamp has just released some new fabulous Simon Says Stamp Exclusives expected to ship out later this month? I love that the dies and stamps can be bought separately or together as a combo. You can pre-order now. That's along post title isn't it.? Hee hee. 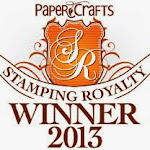 Anyways, I back first to pick a new winner of the Simon Says Stamp Gratitude Blog Hop donation. GORGEOUS cards Sarah. I am most grateful this year for my friends. Whom without them I truly don't know where I would be. I thought I'd also take this opportunity to share a card set I made recently. I'm planning on making a few sets as gifts for Christmas and such. Time to wrap a warm blanket around yourself and make some hot chocolate because this week's challenge is to incorporate snowflakes into your projects! The design team is showcasing Glitter Ritz and I'm so glad we are! This is my first time using this glitter and it is SO fine! Just beautiful! Must get me some more! 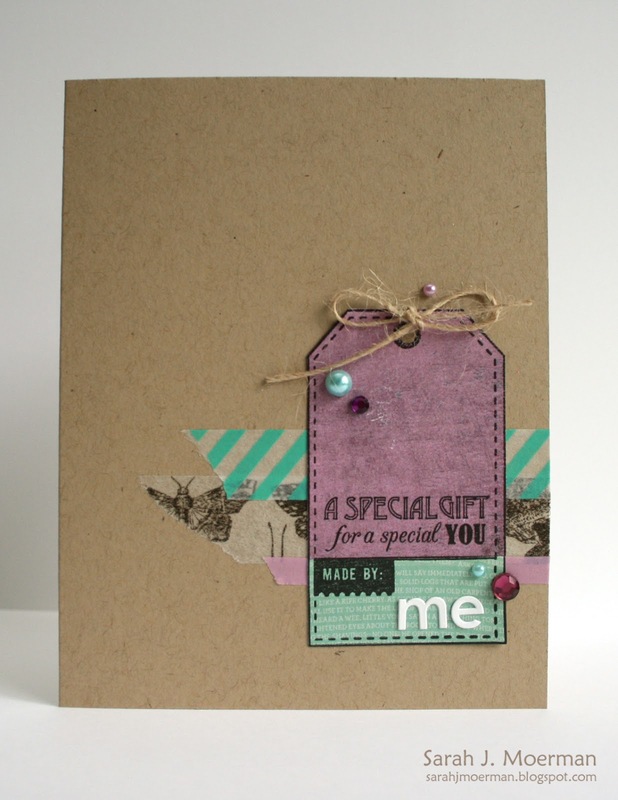 Popping in super quick to remind the winner of the Simon Says Stamp Gratitude Blog Hop prize to please contact me so we can get the donation made to the charity of your choice. Beautiful cards! I am so grateful for my family. I am the oldest of nine, so my family is quite large. We lost our mom in June, so I'm so thankful we will be together to get through the holidays. If anyone knows Pam could you please make her aware of her win? Thank you! 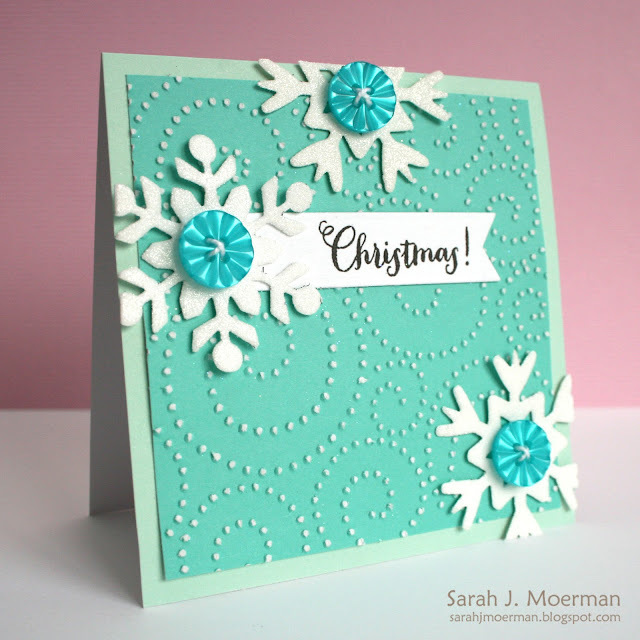 Really pretty card, Sarah! You have made some real beauties with this awesome kitathis week. I hope to hear from you both soon! If I don't hear from Pam by Thursday I'll be choosing another winner and I'll give Joy until Monday to get in touch with me! Popping in quickly today to share a card I have published in a current special issue put out by Paper Crafts (as well as the winner of the Simon Says Stamp December Card Kit). 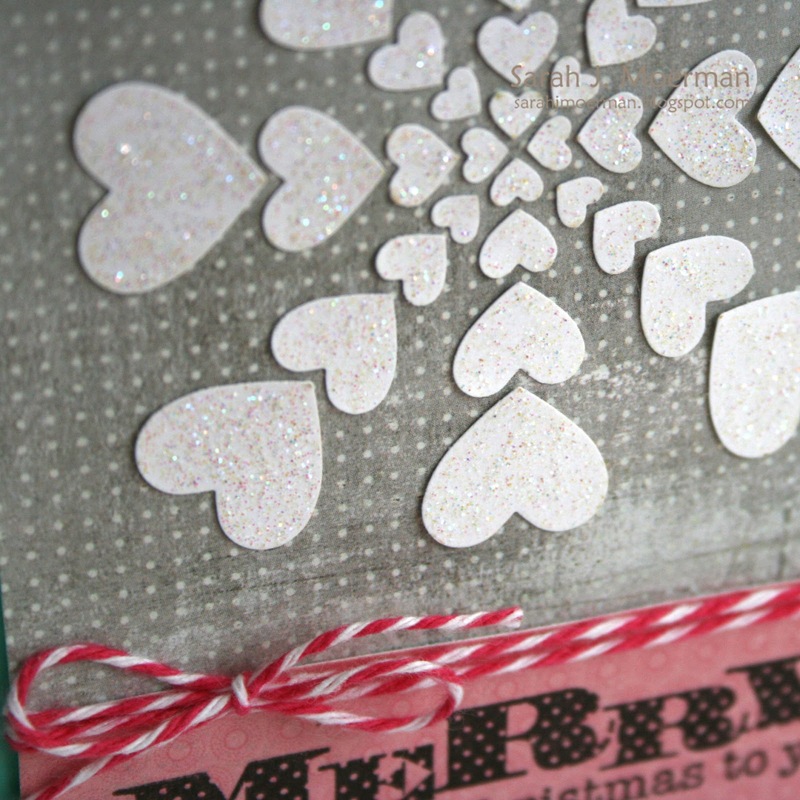 The issue is called Die Cutting for Paper Crafters and it ROCKS!!! I squealed when the call came out for this one and made a record 30+ cards. I was a little disappointed to only have 3 cards picked up but after the issue came out I could see why. ;) So many amazing projects! I adhered strips of May Arts chevron ribbon to a piece of cardstock and ran it through my die cut machine with the Tim Holtz mini heart die sitting inside the label die. 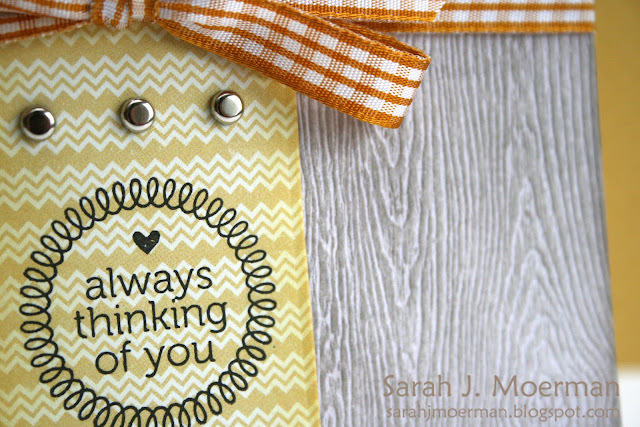 Some buttons and a fun sentiment finish it off. And now for the winner of the Simon Says Stamp December Card Kit. Congrats, Joy! Please email me your full name and shipping address and I'll pass it on to Simon Says Stamp so they can get your kit out to you! 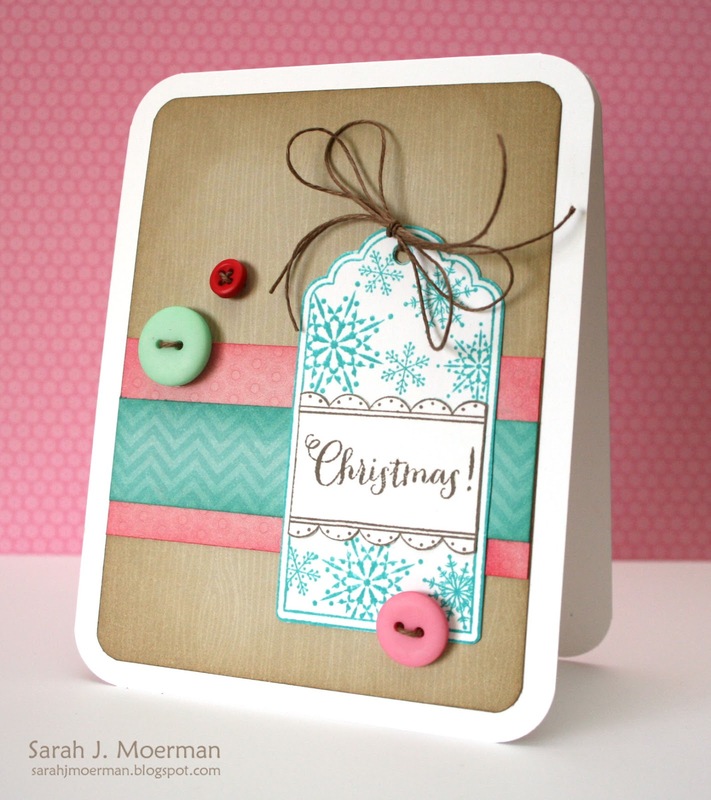 I'm back today with my final card using Simon Says Stamp's fabulous December Card Kit.I must say the cards I made with this month's kit came together so quickly. Just perfect for this busy time of year! 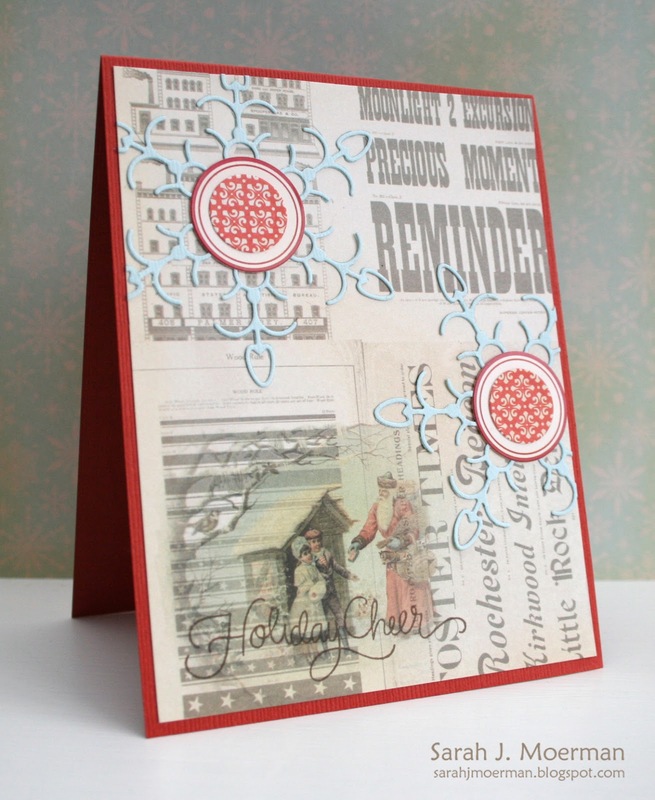 Today's card is another one in which I didn't want to mess around with the gorgeous image on the patterned paper. Because of that I just added a couple of strips of paper/cardstock across the front and did my embellishing there. I stamped my sentiment on one of the label stickers from the kit and adhered cut pieces from one of the holly twigs using Glossy Accents. Thank you so much for joining me here this week! 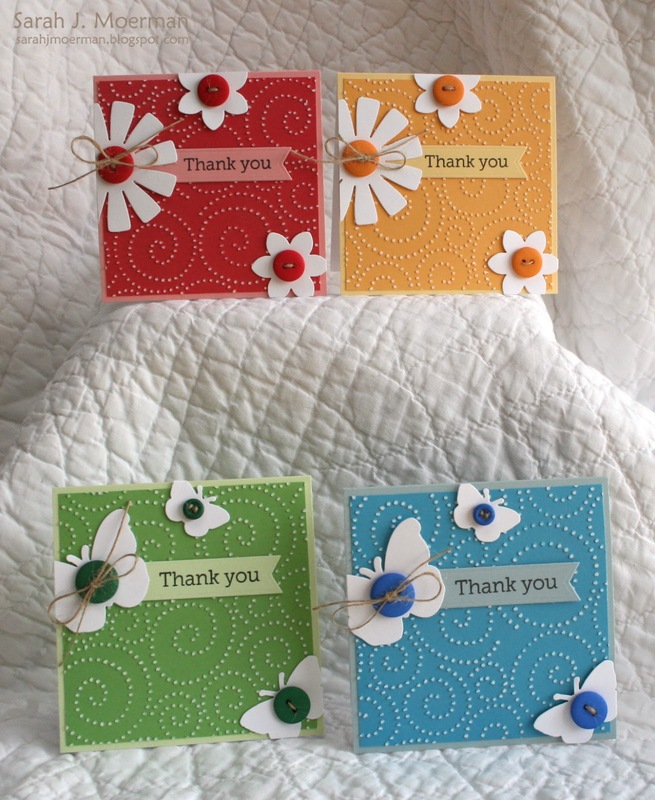 Just a reminder that sweet Heidi (owner of Simon Says Stamp) has generously allowed to give away one of these fabulous kits on my blog this week. Yay! Be sure to leave comments on any or all of this week's posts for your chance to win! I'll announce a winner Monday December 3rd. Congrats, Pam! ...and sorry for your loss. I hope you had an extra special Thanksgiving with family. 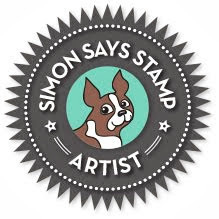 If you could email me with your full name and email address I can pass it on to Simon Says Stamp. They will then contact you to find out the charity you would like the donation to be made to. 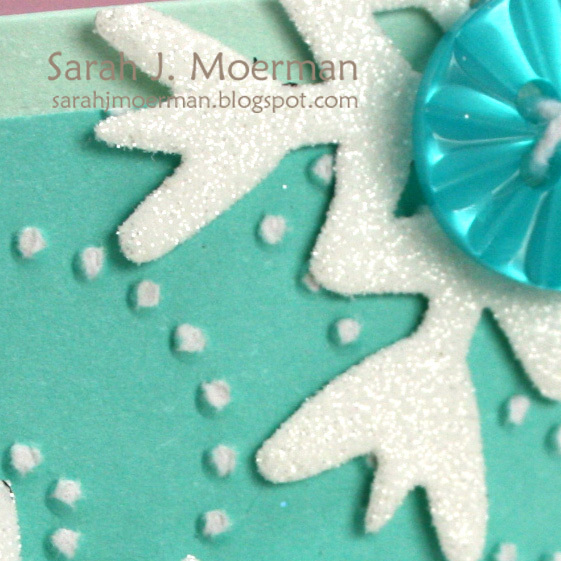 For today's card I focused on the pattern in one of the light blue papers and cut out snowflakes from it. I also cut out extra centers and adhered them with foam adhesive after inking up all the edges. You can't really see it in the picture but I also added some Rock Candy stickles in some parts for a little more interest. 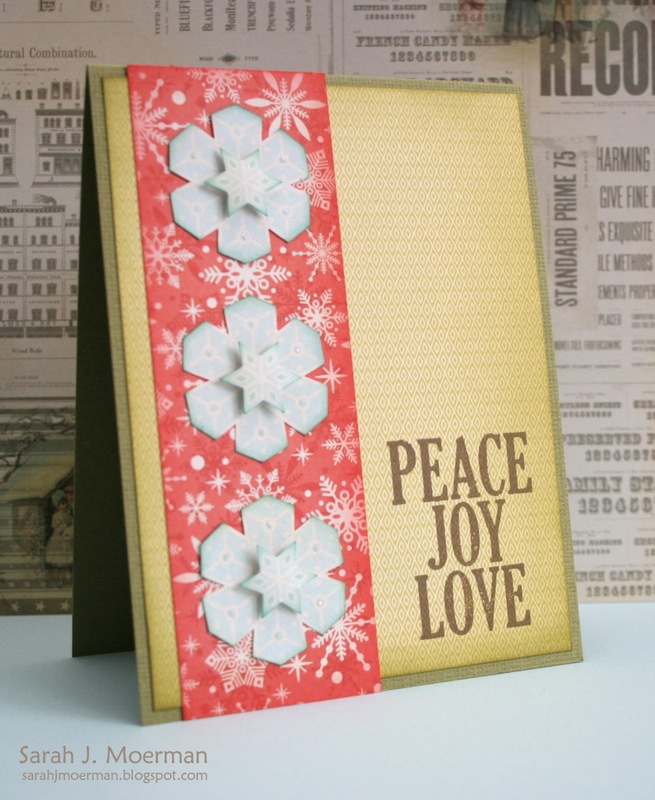 Be sure to leave comments on this week's Simon Says Stamp December Card Kit posts for your chance to win one for yourself (thanks to sweet Heidi, owner of Simon Says Stamp). I'll announce a winner Monday December 3rd. This week's challenge is Anything Goes! Create whatever you like (but please make something NEW)! The design team is playing with Martha Stewart products. 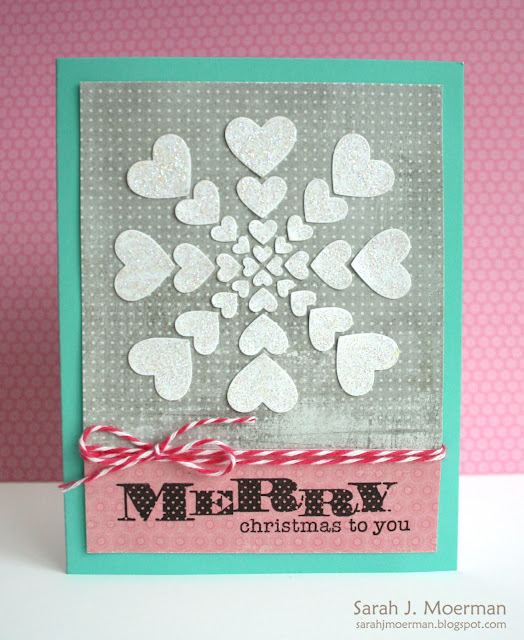 I used this Martha Stewart Heatbeat border punch to punch the different sized hearts which I then used to create my snowflake. Fun! Just a reminder that sweet Heidi (owner of Simon Says Stamp) has generously given me the go a head to give away one of these fabulous kits on my blog this week. Yay! Be sure to leave comments on this week's posts for your chance to win! I'll announce a winner Monday December 3rd. Thanks for stopping by! 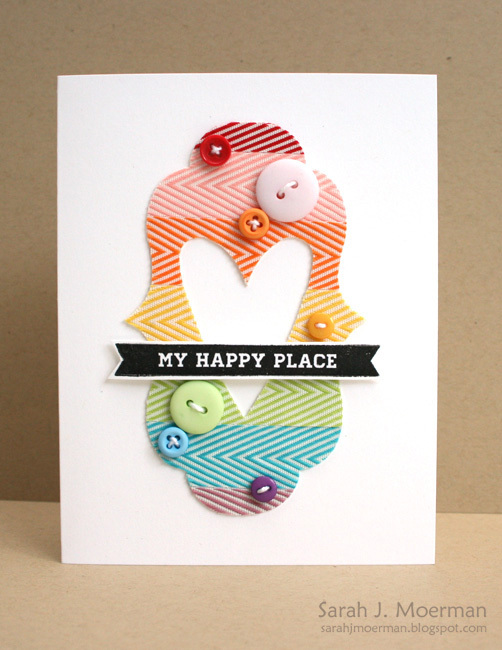 I hope you'll join me tomorrow for a new Simon Says Stamp Challenge! Simon Says Stamp December 2012 Card Kit & GIVEAWAY! I think it's pretty self-explanatory. I'll just note that I cut the 'B' and 'E' out of one of the patterned papers from the kit to add to the 'Merry' sentiment. (Do feel free to email me if you ever have any questions about the cards I share). 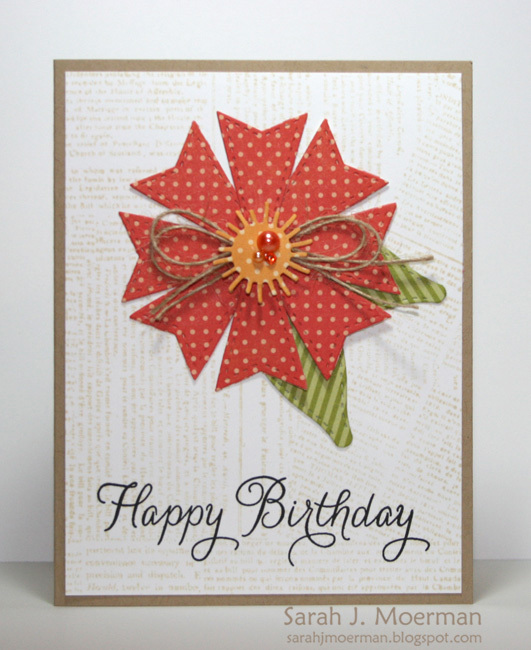 :) And don't you just love the patterned paper background?!?! I definitely let some of the gorgeous papers take center stage this week. cards Tuesday, Thursday, and Friday of this week. Be sure to leave comments this week for your chance to win! I'll announce a winner Monday December 3rd.